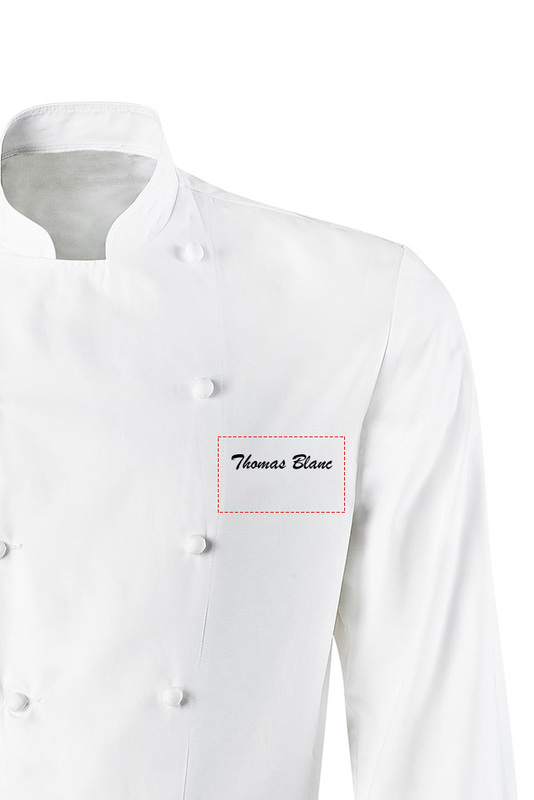 Female chef jacket, Contrasting stitching trimming. Officer collar. Press-stud buttons. 1 press-stud chest pocket. Transformable sleeves. Turn-back cuffs, press-stud. Back cut outs and comfort gussets with vent nets. 2 press-stud back pockets. Registered design.